Apple on Tuesday previewed its iPhone OS 3.0 software which includes over 1,000 new APIs for developers and over 100 new features for end users, including Copy & Paste, multimedia messaging, and a landscape mode for applications like Mail and Notes. "The new iPhone OS 3.0 is a major software release packed with incredible new features and innovations for iPhone customers and developers alike," said the company's marketing chief, Philip Schiller. "It will keep us years ahead of the competition." Members of Apple's iPhone developer program can download a beta release iPhone OS 3.0 sometime today (preview page) that includes an updated iPhone Software Development Kit (SDK) with over 1,000 new Application Programming Interfaces (APIs) that will facilitate new capabilities such as in-app content purchases; peer-to-peer connections over Bonjour; an app interface for hardware accessories; access to the iPod music library; a new Maps API and the long-awaited push notification support. More specifically, Apple announced that in-app purchases will allow developers to offer subscription content and provide the ability to sell new content and features in a simple and secure process from directly within their apps. Meanwhile, game developers can leverage the new peer-to-peer connections support to more easily create peer-to-peer network games for iPhone and iPod touch by using Bluetooth. Another key developer feature in the iPhone OS 3.0 beta software is the ability for apps to interface with proprietary hardware accessories manufactured by third-party accessory makers, creating a whole new element of control for iPhone and iPod touch accessory developers as well as a new ecosystem of solutions for customers. Developers will also be able to use Apple's new Maps API to integrate Google Mobile Maps services within their apps which will offer Google Map tiles, current location, custom annotations and geocoding. The iPhone OS 3.0 beta software includes the Apple Push Notification service which provides developers with a mechanism to alert users with sounds, text or a badge messages in real-time. For iPhone and iPod touch owners, Apple announced over 100 new features that will be available when iPhone OS 3.0 is released this summer including cut, copy and paste, which can be done within or across applications; MMS to send and receive photos; contacts; audio files and locations with the Messages app; and the ability to capture and send audio recordings on the go with the new Voice Memo app. Landscape view will also be available for Mail, Text and Notes. Search capabilities will be expanded, allowing customers to search within Mail, iPod and Notes or search across all key apps by typing a key word or phrase into the new Spotlight search, conveniently accessed from the Home screen. An updated Stock app will add the ability to display recent company news and current trading information like opening or average price, trading volume or Market Cap, and will offer a landscape view to see a full screen of any stock chart. Users will also be able to view shared calendars right on their iPhone with CalDAV support and sync their calendars with iCal, Yahoo, Google and Oracle. Apple also announced that the App Store has more than 25,000 applications available to consumers, and 15 more countries have been added so the App Store is now available in 77 countries, allowing developers to reach more than 30 million iPhone and iPod touch users around the world. As part of this announcement, Apple said it's sold 17 million iPhones to date and a total of 30 million multi-touch handhelds when sales of iPod touches are included. This means the company has sold 13 million iPod touches in approximately 18-months, marking the first time it has broken out sales figures for the touch. 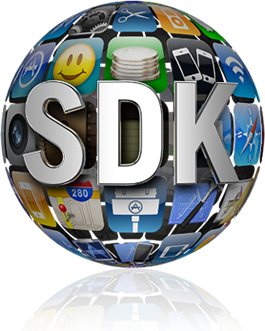 The iPhone OS 3.0 beta software and SDK will be available for registered developers to download starting today. iPhone customers will be able to download the new iPhone OS 3.0 software for free this summer and iPod touch customers will be able to purchase the software update for $9.95. 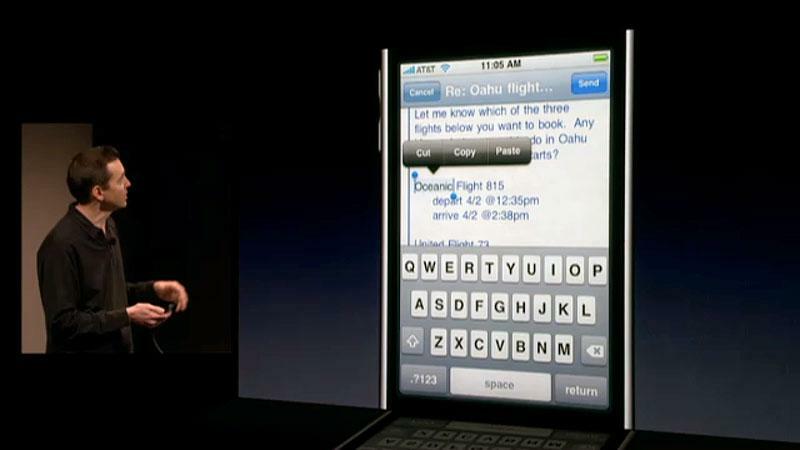 Apple notes that MMS messaging will be available only on iPhone 3G and that fees may apply. Some iPhone 3.0 features may also not be supported by older hardware, such as the original iPhone, citing differences in the internal radio.